California has some of the most restrictive laws in the country when it comes to weapons such as firearms. It is, therefore, not a big surprise that the criminal penalties for assault with a weapon are harsh, similar to the penalties for aggravated assault or other serious forms of assault. If you have been charged with assault with a weapon, you should know that you could potentially be facing many years in state prison, along with hefty fines, the loss of certain civil rights (such as the right to vote or possess firearms in the future), and a lifetime of potential hardships regarding employment, housing, and personal relationships. 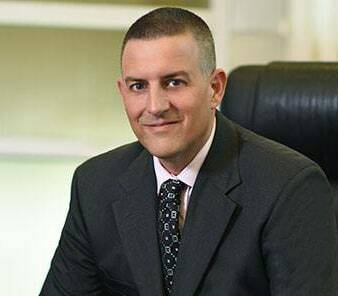 San Bernardino and Riverside County assault defense lawyer Gregory H. Comings knows that not every person who is accused of a crime is guilty, and he is here to help you defend yourself to the fullest extent of the law. Under California Penal Code § 245, the crime of “assault with a weapon” can occur in several different ways. It can involve the use of a “deadly weapon or instrument other than a firearm,” a firearm, a machinegun, a .50 BMG rifle, or a semiautomatic firearm. The penalty for a conviction of assault with a weapon depends on, among other things, the type of weapon used and whether the victim is a peace officer or firefighter. Incarceration for assault with a weapon can be as long as 12 years. Additionally, the offender may be fined up to $10,000, and his or her weapon may be confiscated by the police. One of the more common defenses in an assault with a weapon case is mistaken identity. Since the victim of an assault may be in fear and under a great deal of stress, it is not uncommon for him or her to misidentify the perpetrator of the crime – especially if he or she is asked to pick the offender from a police lineup. While there are rules regarding police procedures during a lineup, these procedures are not always followed, sometimes leading to a not-so-subtle suggestion that a certain person committed the crime when, in fact, that person is innocent. Even when the law is strictly followed by the police, eyewitness identification can be a risky endeavor fraught with potential mistakes. Another possible defense to an assault with a weapon charge is self-defense. The accused may admit that he or she pulled a gun on the “victim” but maintain that the alleged victim was the instigator of the conflict between the parties. If the defendant acted in self-defense or in defense of his or her family, he or she may be acquitted of the crime with which he or she is charged. There may also be constitutional defenses in certain cases, such as violations of the defendant’s right to be free from unlawful searches and seizures or an officer’s failure to inform him or her of the right to remain silent. Under the “fruit of the poisonous tree” doctrine, evidence that is obtained through a violation of the defendant’s constitutional rights may be excluded at trial. Without this evidence, the State’s case may quickly fall apart. Simply being charged with the crime of assault with a weapon is very serious, but being convicted of this crime is even more damaging, with lifelong consequences for the offender. If you have been arrested for assault with a weapon, you need to talk to a lawyer immediately. Attorney Gregory H. Comings regularly represents people accused of serious crimes, including assault with a weapon, assault causing great bodily injury, and domestic violence. Call us at (951) 686-3457 or contact us online to discuss a Riverside or San Bernardino County case. We promise to always be candid with you, giving you an opinion as to the best and worst scenarios for the outcome of the legal proceedings that you are facing, and we work hard to make sure that our clients are vigorously defended in court.